UPDATE: Here’s the link to the recording. Get ready to sit back and learn the basics. Advanced preppers might even pick up a new idea or two! http://connectpro19068335.adobeconnect.com/p56iw9x6y1z/ If you’re a note-taker, you can download the class outline here. I hope you know me well enough by now to know that I am hardly a foaming-at-the-mouth prepper as portrayed on Doomsday Preppers and similar shows. In real life I’m quite calm and actually, pretty boring. 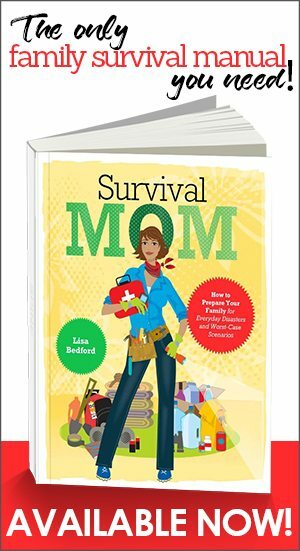 When I teach prepper and survival classes, I hope I’m not boring, but the class is definitely going to be middle-of-the-road and very practical. It’s the sort of class you would feel very comfortable inviting your non-prepper friends to. You know. The ones who watched Doomsday Preppers and ran the opposite direction! It’s been a couple of years since I’ve taught live classes and webinars but with some 20+ years of teaching and training in my career background, I’m itching to get back in action. 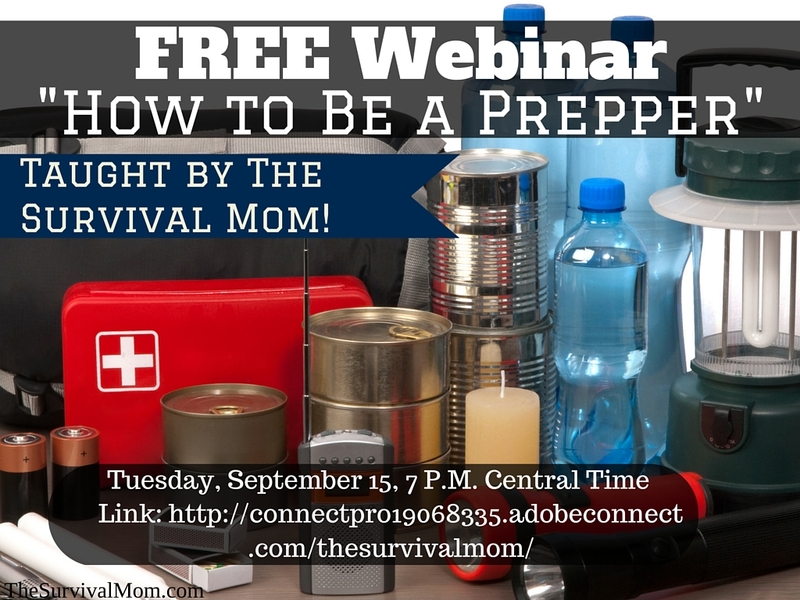 I hope you’ll join me on Tuesday, September 15, at 7 p.m. Central Time, for a live class, “How To Be A Prepper”. I’ve developed this class specifically for newbies but also for those who have been prepping but feel they need a little more guidance and focus. Most of us begin prepping in a random fashion fueled by a bit of panic, admit it! 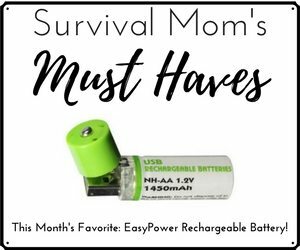 We desperately want to get prepared with food, water, flashlights, duct tape, and every other survival and preparedness supply imaginable and that means we don’t always take time to sit down and figure out exactly what we need, when we need it, and hold fast to priorities. That’s what this class will focus on. 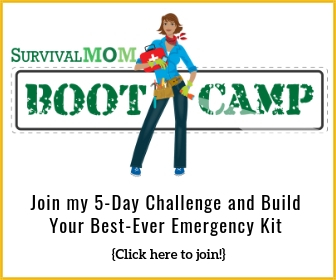 I’ll even teach you how NOT to be a prepper and how to connect with others who are like-minded. Not only that, I’ll be giving away a couple of door prizes and even have a discount code for one of the products I’ll be featuring! To join the webinar, you don’t need to pre-register. Just click on this link a few minutes before class starts to reserve your spot. 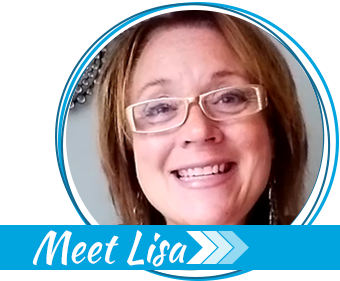 The webinar service I use only allows a total of 100 people in the webinar room, and that leaves just 99 spots once I arrive! I’m planning to record this and make it available indefinitely, but if you can attend the live event, it’s always much more fun! Are You Getting the Most Out of Your Prepping Supplies? Is a Storage Unit a Viable Survival Cache? There seems to be an issue at 0:40:45 with the recording. I skipped ahead 4 minutes and the audio came back and seems to be in the right spot. Odd. I’ll give it a listen but am not sure it’s anything that can be corrected.